For other uses, see Sarai (disambiguation). The domains of the Golden Horde in 1389. The gold star shows the location of New Sarai. Empty circles represent other major cities. "New Sarai" or "Sarai Berke" (called Sarai-al-Jadid on coins) was at modern Kolobovka, formerly Tsarev, an archeological site also on the Akhtuba channel 85 km east of Volgograd, and about 180 km northwest of Old Sarai; or possibly on the site of Saqsin (which may itself have stood on the site of the Khazar capital, Atil). The bishops of Krutitsy resided in Tsarev from 1261 to 1454. It had probably succeeded Sarai Batu as the capital of the Golden Horde by the mid-14th century. Sarai was described by the famous traveller Ibn Battuta as "one of the most beautiful cities ... full of people, with the beautiful bazaars and wide streets", and having 13 congregational mosques along with "plenty of lesser mosques". Another contemporary source describes it as "a grand city accommodating markets, baths and religious institutions". An astrolabe was discovered during escavations at the site and the city was home to many poets, most of whom are known only by name. Both cities were sacked several times. 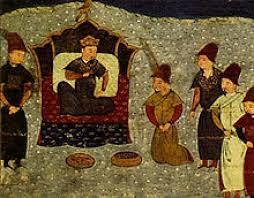 Timur sacked New Sarai around 1395, and Meñli I Giray of the Crimean Khanate sacked New Sarai around 1502. 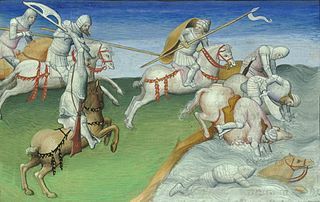 The forces of Ivan IV of Russia finally destroyed Sarai after conquering the Astrakhan Khanate in 1556. Here by the river Akhtuba stands the Golden Horde. 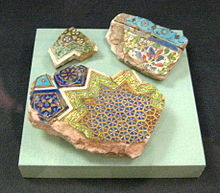 The khan's court, palaces, and courts, and mosques are all made of stone. But now all these buildings are being dismantled and the stone is being taken to Astrakhan. Since Old Sarai lies at 120 km from Astrakhan and New Sarai at 300 km, it is difficult to decide to which of these two cities this description applies. After the destruction of New Sarai, Russia established the fortress city of Tsaritsyn (later Stalingrad, now Volgograd) to control the area. Sarai Juk (Little Sarai) was a city on the Ural River. It is often conflated with the other Sarais in historical and modern accounts. This town was the main city of the Nogai Horde, one of the successors of the Golden Horde. Although sacked by the Ural Cossacks in 1580, it was later used as the headquarters by some Kazakh khans. ^ Battutah, Ibn (2002). The Travels of Ibn Battutah. London: Picador. p. 136. ISBN 9780330418799. ^ Н. А. Кузнецова (N. A. Kuznetsova), Хождение купца Федота Котова в Персию [Journey of the merchant Fedot Kotov to Persia] (Moscow, U.S.S.R.: 1958), page 30. (in Russian) From p. 30: "Тут по той реки по Ахтубе стоит Золатая Орда. Царской двор, и полаты, и дворы, и мечети — все каменные, а стоят и до Астрахани." 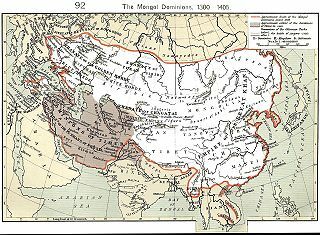 Tokhtamysh or Tokhtamısh, a prominent khan of the Blue Horde, briefly unified the White Horde and Blue Horde subdivisions of the Golden Horde into a single state. He descended from Genghis Khan's grandson, Tuqa-Timur. Sultan Mohammed Öz Beg, better known as Uzbeg or Ozbeg, was the longest-reigning khan of the Golden Horde, under whose rule the state reached its zenith. He was succeeded by his son Jani Beg. The Akhtuba River ; also transliterated Achtuba on some maps) is a left distributary of the Volga River. 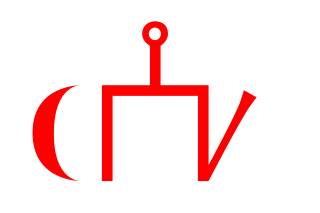 Saray-Jük (Сарай-Жүк) / Sarai-Dzhuk (Сарай-Джук), Saraichik or Kishi Saray in the Kazakh language, Saraychyq (Сарайчык) in modern Tatar, and Saray Maly literally "Little Sarai", to distinguish it from Old Sarai, was a medieval city on the border between Europe and Asia. It was located 50 km north Atyrau on the lower Ural River, near the modern village of Sarayshyq, Atyrau Region, Kazakhstan. The city lay on an important trade route between Europe and China and flourished between the 10th and 16th centuries.